A comfortable and attractive apartment in a peaceful, central and popular part of town. Located on the 3rd floor (modern elevator) with an inner courtyard balcony facing south, two bedrooms, one bathroom and a nice kitchen. Just a couple of minutes from Stockholm Södra Train Station with direct connection to and fro Arlanda Airport and other intercity communications, buses, trains and metro. 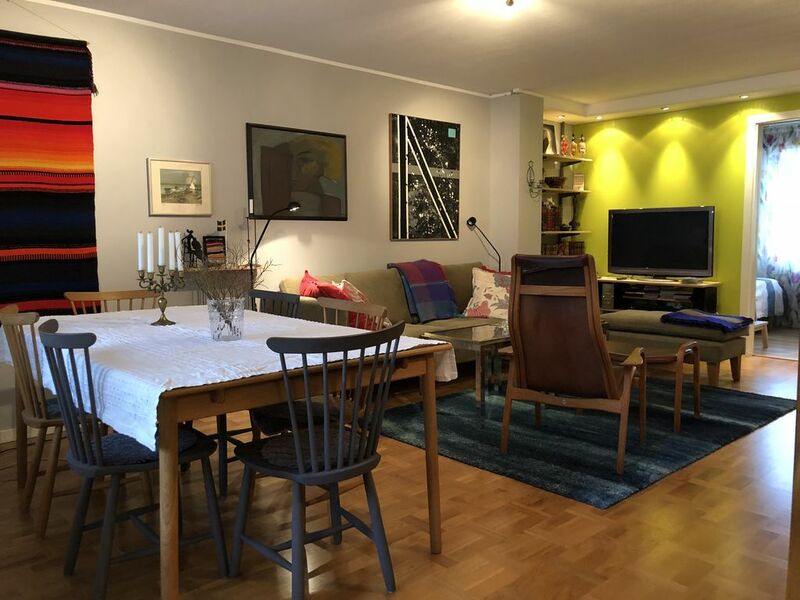 Walking distance to central Södermalm areas as Mariatorget, Medborgarplatsen, Slussen, Nytorget and a great number of restaurants, cafés, bars and shopping as well as attractive parks, playgrounds and walking lanes along the waterside. More about the apartment: Bedroom 1 has a double bed (180x200) and access to wardrobe. Bedroom 2 has a double bed (160x200) and a child's sofa bed. Bathroom with a bath tub / shower. Kitchen with essential utensils and a table / seats 4 people. Livingroom with dining room table for 6-10 people, TV, Google Chrome, DVD player and stereo. We enjoyed very much the appartment: well equiped, clean and near the train and metro stations. We spent really nice time with family and enjoyed Christmas evening in the appartment . The communication with Maria was very good. We recommend this appartment. The Hedegaards were very good guests, communicative as needed and left the apartment in a good shape, nice to come back to. We highly reccommend them as guests.